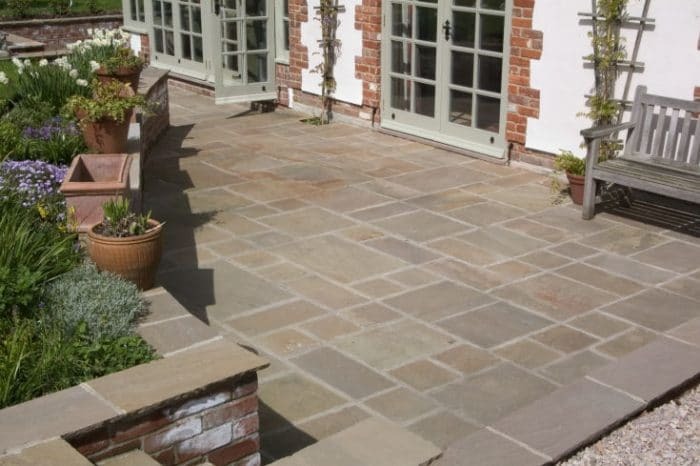 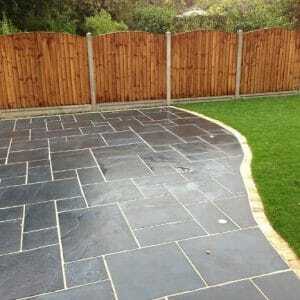 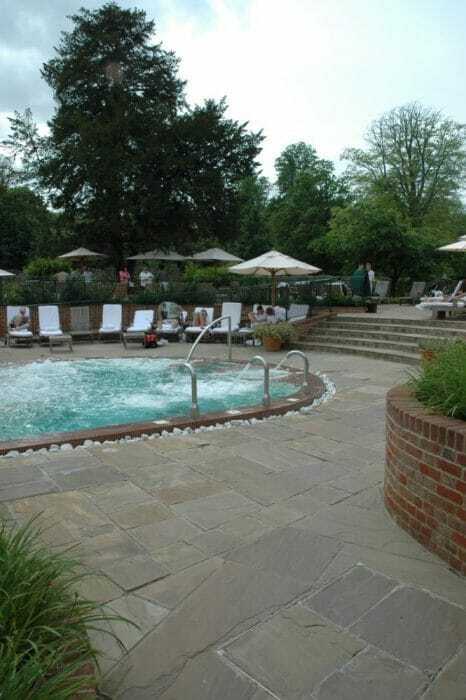 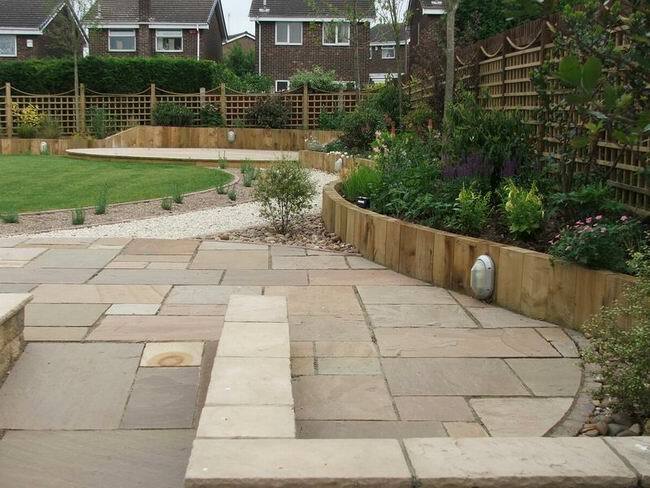 Raj Green Sandstone Paving with its hand cut edges and natural riven surface, suits a variety of Traditional settings. 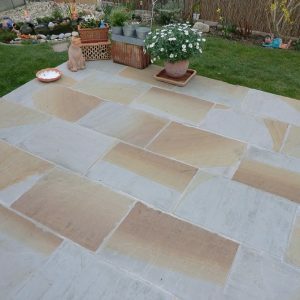 It blends and integrates with most of the surroundings and is a robust, hardstone which may last a lifetime if maintained reasonably well. 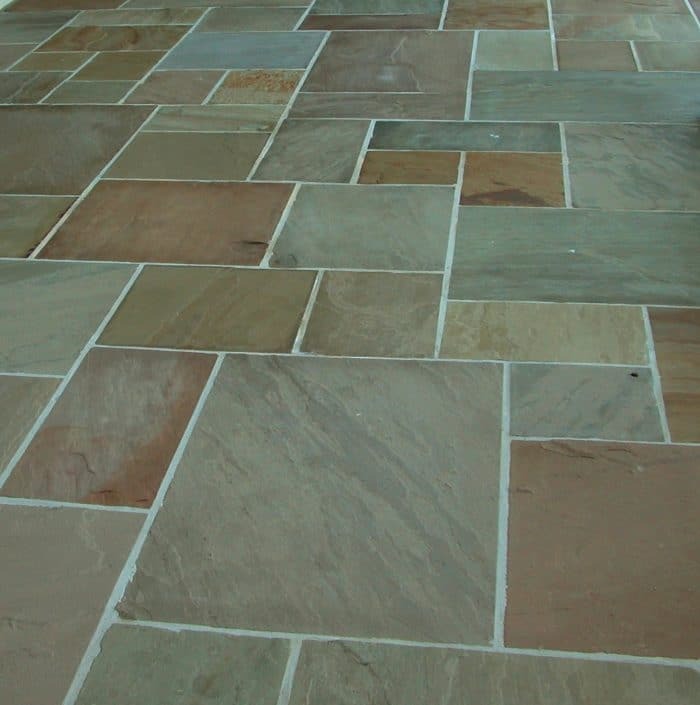 It is available in a cheerful mix of lighter & darker tones of Olive Green color and it is akin to the reclaimed Yorkstone. 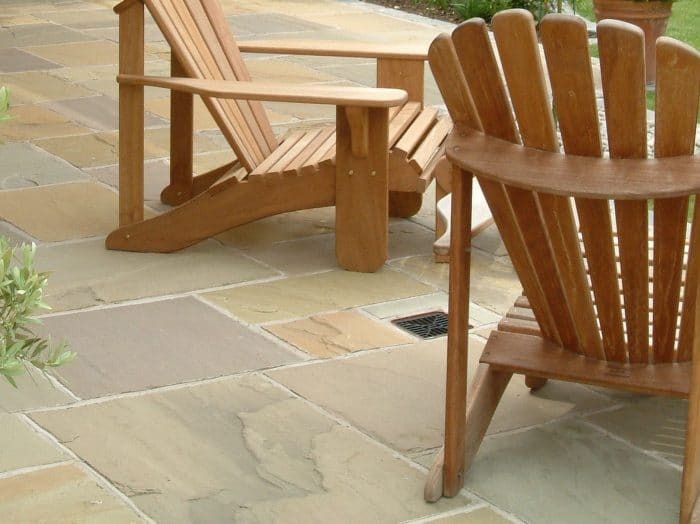 Occasionally buff tones run through the blend, adding to the rich, traditional look of this Stone Paving. 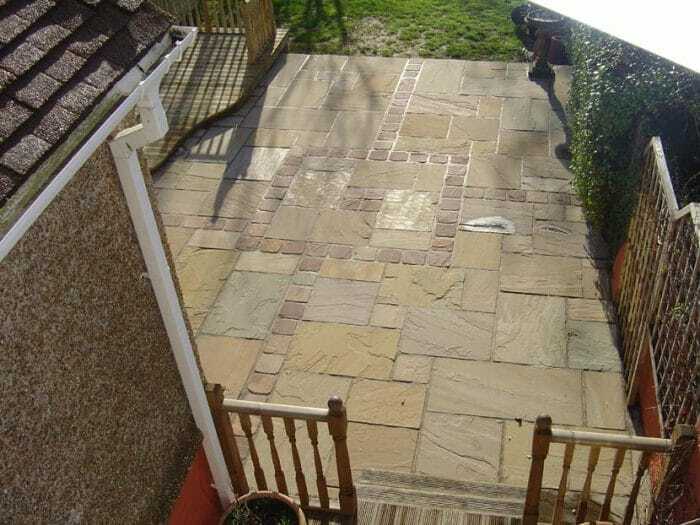 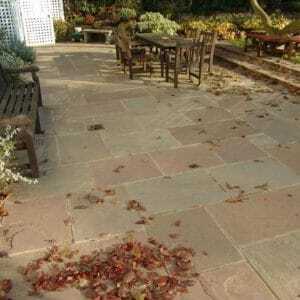 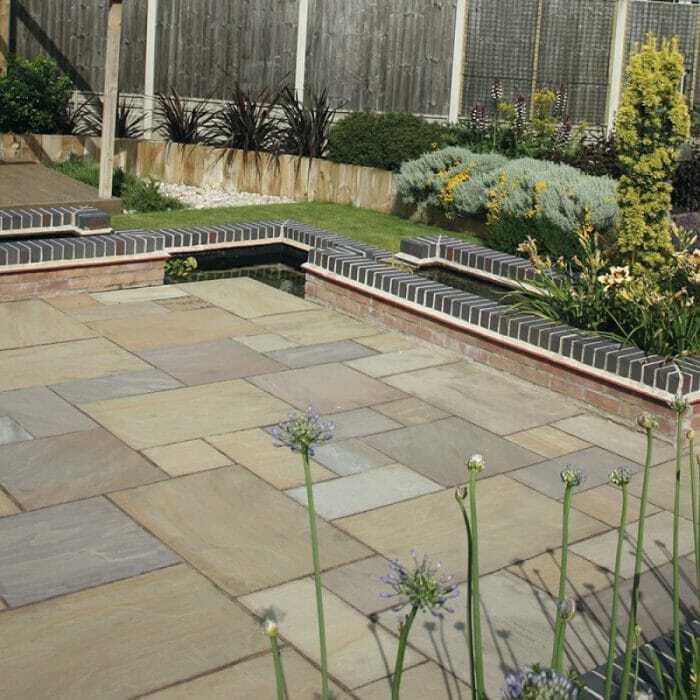 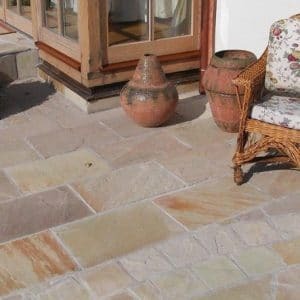 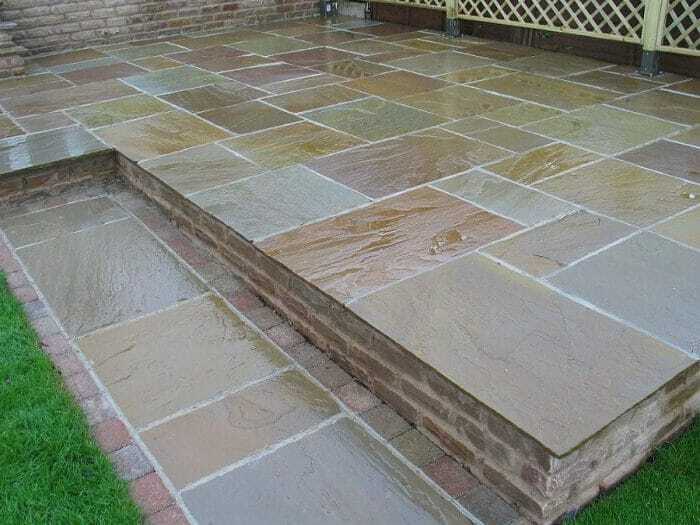 Raj Green Natural Sandstone Paving with its vibrant color tones and textures gives an aesthetic appeal to your space.